carnivale is a fun restaurant in the west loop that serves "nuevo latino cuisine." according to their website : "featuring energetic colors, glamour, photography, and wild design, carnivale engages all of the senses." this much is true. take a walk into their main dining room and you will understand this for yourself immediately. i've been to carnivale three times (once as a vegetarian, twice as a vegan) - and surprisingly, all three times were for birthday celebrations. ¡qué divertido! anywho ... this means that carnivale is definitely a friend of the vegans. chunky avocados, cilantro, chiles, onion, garlic, lime, chips. 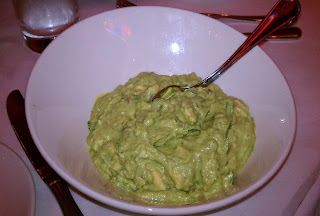 not sure what the "kleiner style" is because it tasted like basic guacamole to me. delish. 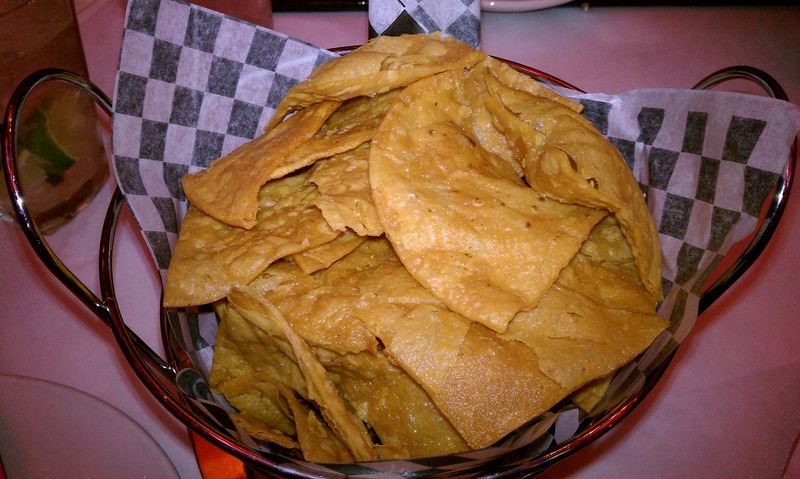 also ... i asked our server how the chips were prepared. vegetable oil? yes. are other non-vegan items fried in the same oil? well, they are prepared first thing in the morning before anything, but she was unsure whether or not other things were also fried in there. hmm, ask? oh well. 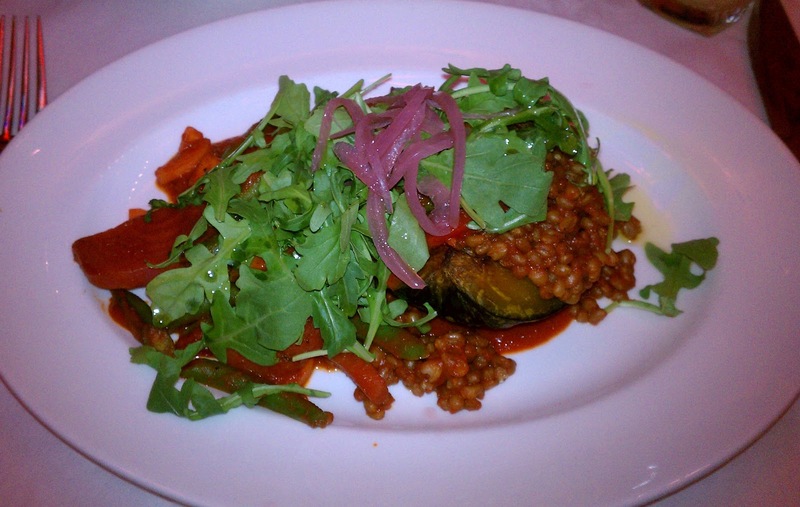 genesis growers seasonal vegetables, wheat berries, roasted squash, aji panca. i ordered this without the maitake mushrooms, brunkow cheese and butter it is normally prepared with. it was good, but not amazing. the sauce tasted a bit tomato paste-y. but i had never had wheat berries before, so that was fun. but here's the exciting part... dessert. this was sooo much fun. we all decided it was watermelon flavored. so awesome. 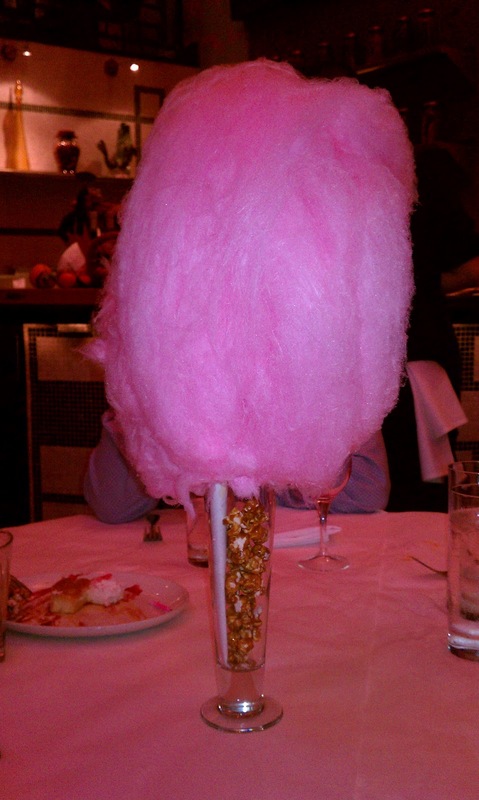 ok, so the dessert really made this meal for me. i mean, who doesn't love to be transported back to their youth via some high end cotton candy? i sure do. in terms of "nuevo latino cuisine," carnivale is a definitely a fun & exciting place to go.